I wasn't expecting too much from a $120 bike but after a weekend biking Upstate NY I was pleasantly surprised. I did the Catskill scenic trail with this bike and on my way back to NY I also stopped to check the Windham path. The Hyper Voc performed very well overall. Smooth ride, nice suspension, very good brakes. The seat was a little on the firm side. For long rides I recommend buying a gel saddle seat cover. Also keep in mind that due to the suspension system it doesn't have the bottle holder mounting screws so I recommend getting a cage adapter to hold your favorite biking drink. 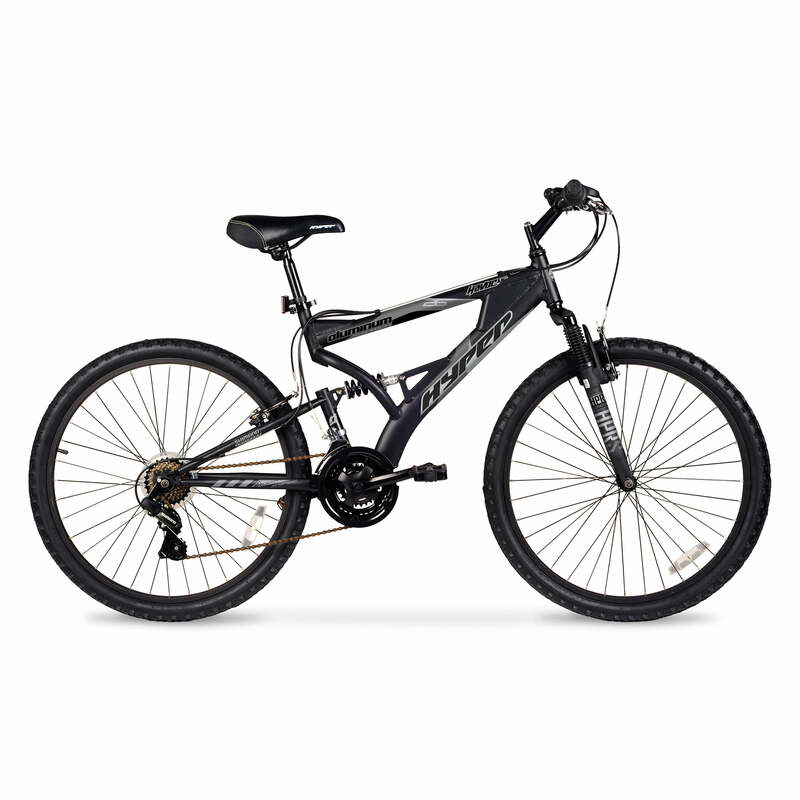 Tbook.com crawls the web to find the best prices and availability on Mountain Bikes and related Toys products like HYPER 26" Havoc Men's Mountain Bike, Black. For this page, related items include products we find that match the following keywords: "Mountain Bike" at our vendor partner Walmart. HYPER 26" Havoc Men's Mountain Bike, Black is one of 16 Mountain Bikes and related products listed in the Toys section of Tbook.com If you have any questions on this product, please give us a call at 734-971-1210 during the hours of 9am - 5pm EST for assistance. Thank you for shopping at Tbook.com, the Internet Department Store!